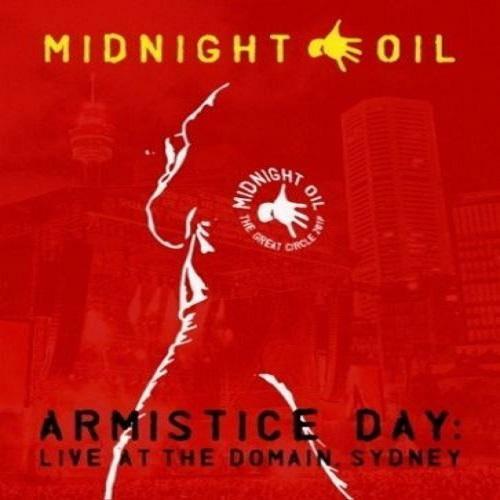 In February 2017 Midnight Oil take to Sydney Harbour and announce The Great Circle World Tour. The Circle will begin where the band started out -in Sydney's pubs -then circumnavigate the globe. It will be their first tour in over 15 years. Over the next 6 months Midnight Oil played in 16 countries across 5 continents. Eventually they returned to circle around Australia -the land that shaped the Oils and their music. Finally this epic tour circled back to the city where it all began. The venue? Sydney's Domain -a place that encapsulates a nation's history. And so after 77 gigs to over half a million people around the world this is whereThe Great Circle would finally come to a close. Two hometown shows in this special place. The first date? November 11. Known to some as Armistice Day.